What is Dry Fog Technology? Dry Fog is the miracle behind our demolition free mold remediation system, created by Pure Maintenance. Learn about how dry fog technology has made Pure Maintenance Melbourne FL’s Top Mold Removal Company. Pure Maintenance is the most affordable and most effective mold removal company in Florida. Using a two-step patented system, Pure Maintenance has perfected the dry fog process to rid your home of mold forever. Pure Maintenance can tackle even the most difficult mold problems in just a few hours. Dry fog technology is not only quicker and more effective than old out dated remediation methods, but it also saves you money. If you have an old home completely taken over by mold, or a small problem behind a wall, Pure Maintenance has the solution. You may have high mold counts in your home and not even be aware. Mold grows behind walls, in washing machines, under cupboards, window seals, drains and is very dangerous. If you have felt sick in your home or have had a water leak, call Pure Maintenance to receive an evaluation by a certified mold inspector. By ripping out walls and disturbing mold spores, other professional mold removal companies spread mold spores all throughout your home and make things even worse than they were before. 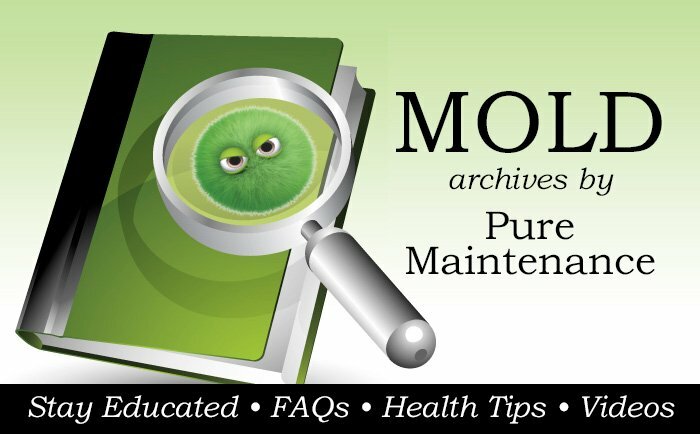 Pure Maintenance doesn’t relocate mold spores, they just eliminate them on the spot. Pure Maintenance uses only EPA approved chemicals that have gone through extensive testing and are determined as 100% safe. Everything used during the mold removal service has also been muscle tested and proven harmless and 100% effective.